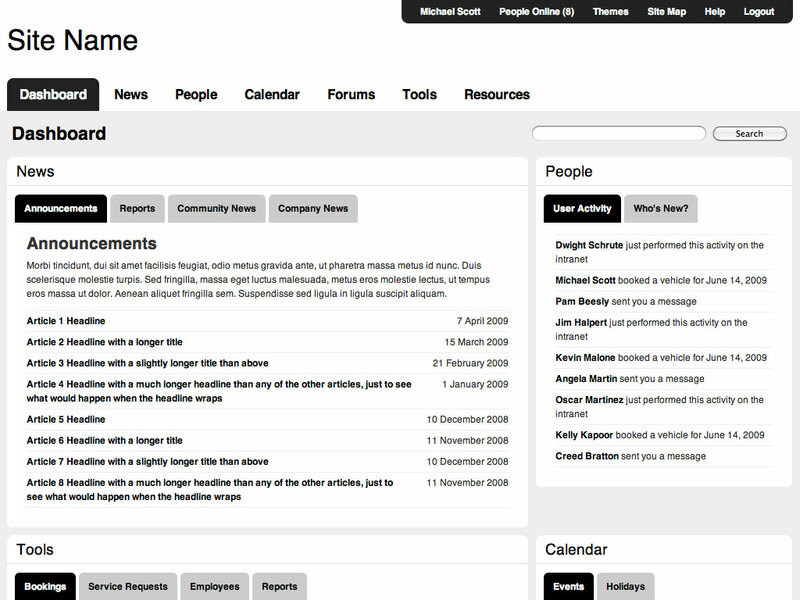 “Intranet” – Ensembles – Download – Symphony. 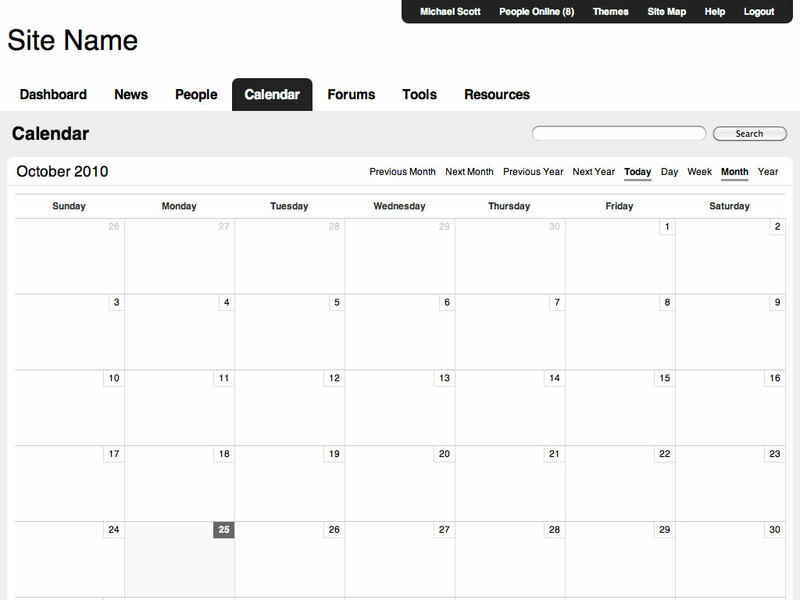 This ensemble was created as an HTML/CSS prototype for a non-profit organization that had requested a Drupal site. The functionality was not built out in Symphony, but it gave me a chance to explore ways of using Symphony and XSLT to create templates with modular pieces. No extensions are required and no entries have been created. There are only a couple data sources that have been attached, including a Navigation data source that is used for dynamically building the navigation structure. 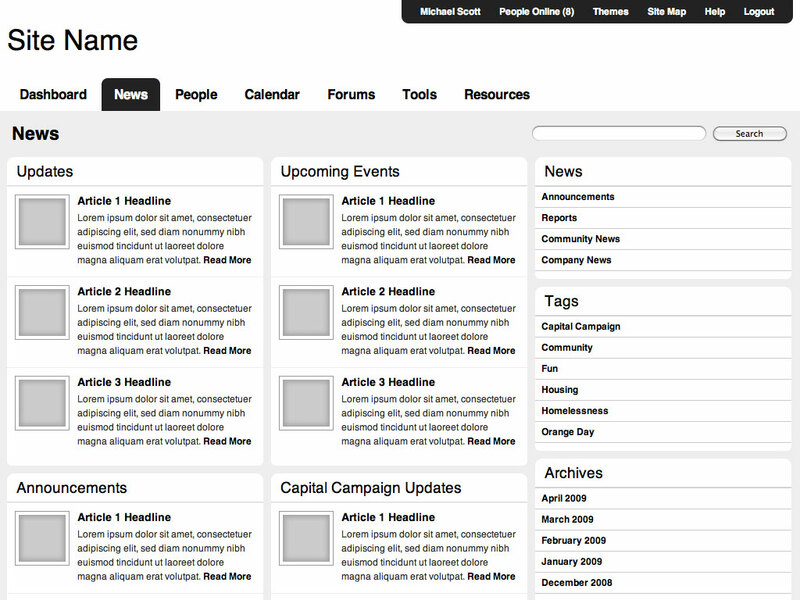 The CSS was also built to be modular and stylesheets can be switched from the Theme menu in the upper right of the front end interface. The grid system is an adaptation of Nicole Sullivan's Object Oriented CSS framework, though I have taken some license with the framework by renaming some classes. As this was built for an intranet, IE was not as much of a consideration. 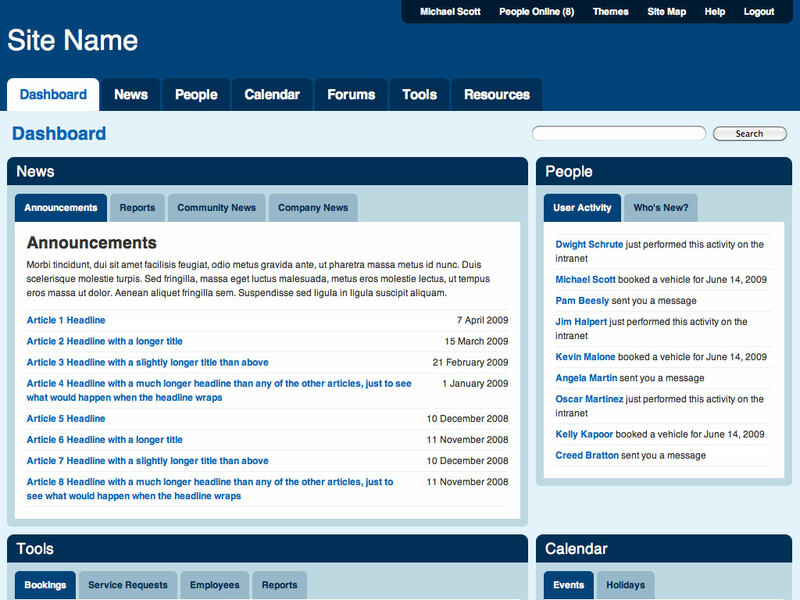 A demo of the intranet templates can be found here.